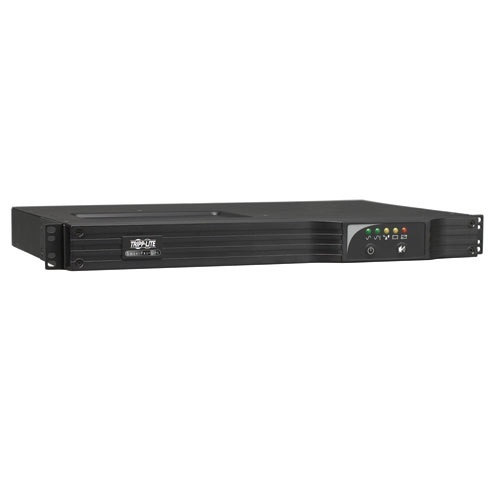 Tripp Lite Smart750RM1U line-interactive UPS rated at 750VA/1600 Watts. 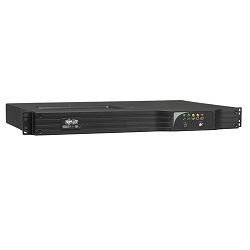 Features compact 1U rack height, 5-15P Line Cord, (6) 5-15R receptacles, remote monitoring capable. Rack/tower adaptable. Intelligent line-interactive ups with 750VA/450 watt capacity provides 7 minutes of battery runtime at full load (24 minutes at half load) with standard internal batteries. 120v input 5-15P line cord, 120v output with (6) 5-15R receptacles. Optional SNMP/Web card for remote monitoring. Emergency Power Off (EPO) jack.